When I saw this apple sandwich on Pinterest, I knew I had to make it! 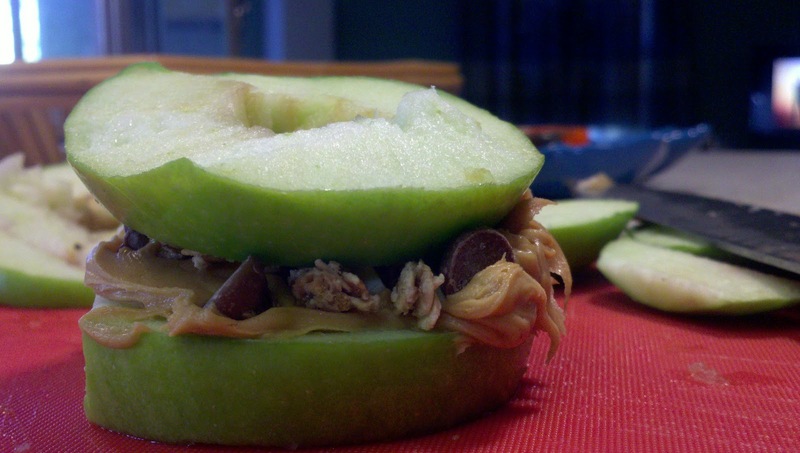 Yummy peanut butter, granola and chocolate chips sandwiched between two apple wedges... delicious. I couldn't figure out how to get the perfect apple cut without the core, so I simply used a knife to make it work. I even tried looking for some type of tool to de-core the apple... could not find one at the grocery or Target. As result, here is my sandwich. It was delicious and healthy.